If you’re craving something sweet, make your way down to the Oak Cliff area. There are lots of places you can visit to try a dessert, or two. Whether you want a piece of cake, or a cool popsicle, there’s something for you there. Cretia’s is a full-fledged restaurant, but its fresh-baked goods are what keep us coming back. Customers get to choose between 30 different cake flavors, and 30 different pie flavors. All of the sandwiches served at the restaurant feature bread that’s baked right inside of Cretia’s. And if that’s not enough, there’s a sample jar where you can try some goodies before making a purchase. Can you see why we’re such big fans? 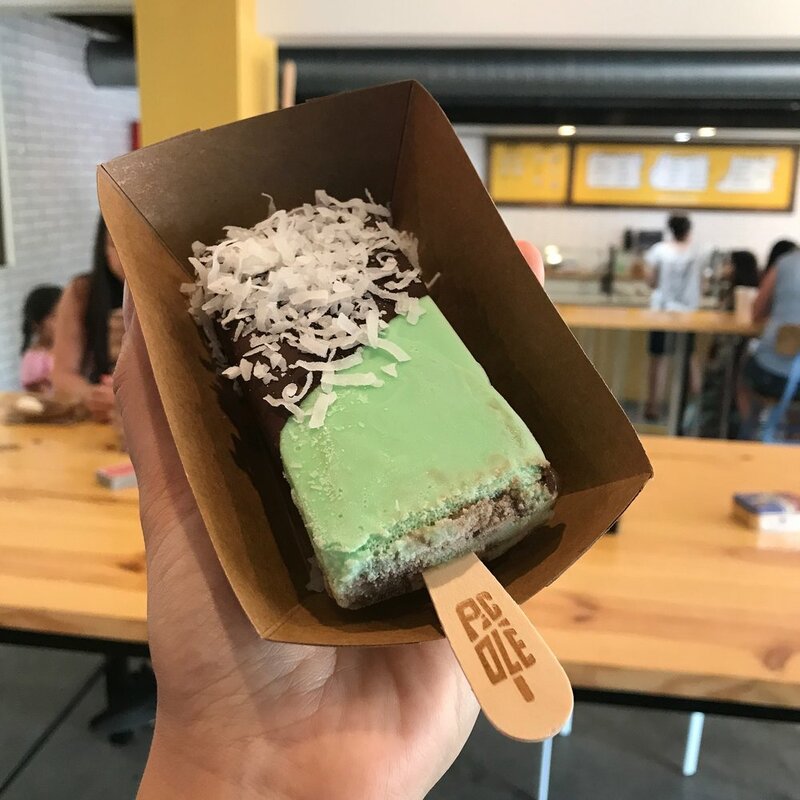 If you want to take a break from eating baked goods, stop by Picolé Pops in the Bishop Arts District to get a frozen treat. These Brazilian-style pops do not disappoint. You can customize your dessert by dipping and drizzling items on top of the popsicle you pick. And if you need an extra kick, you can get an alcohol-infused pop. Take a look at their Instagram feed to see how good everything looks! If you prefer a cookie to a slice of cake, this might be the place for you. 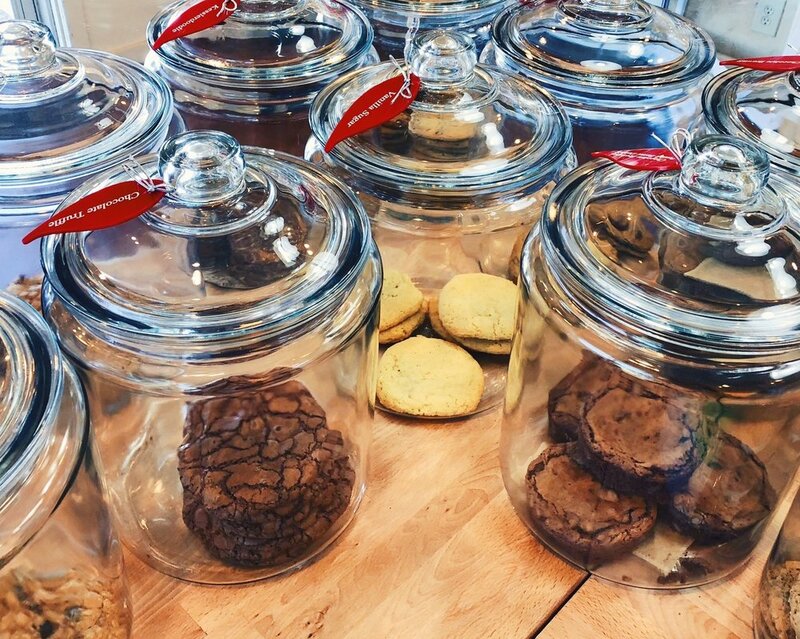 The aroma of fresh-baked cookies and brownies fills the Kessler Baking Studio. When you walk inside, make sure to check the menu to see what flavors are being offered on the day of your visit. Employees say the Oatmeal Cranberry Walnut cookie is the shop’s signature item, so maybe start by trying that. The shop is also covered in awesome art, so make sure you take an Instagram worthy picture before you leave! Kookie Haven is a shop that keeps it all in the family. The shop owners are sisters, and they decided to name the shop after their beloved mother. The menu offers customers cakes and brownies. The most popular item sold at the shop is called a “stuffer.” The dessert is described as a “cake with a cookie immersed inside of it.” You can only get one on Fridays and Saturdays, so try to visit toward the end of the week if you want to give a stuffer a try! Many Dallas dessert connoisseurs love Emporium Pies. In fact, it’s listed as one of our Dallasites 101 Top Ten dessert spots! There are multiple locations throughout DFW, but the flagship location nestled in the Bishop Arts District has a special charm to it. The shop offers decadent, specialty pies that don’t contain artificial preservatives or additives. You can order by the slice, or get a whole pie for you and your friends. CocoAndre is a local chocolate shop that makes the most beautiful homemade creations! The mom-and-daughter duo that combine traditional European techniques with modern flavors from Mexico within their chocolates, have an adorable house for their chocolate studio. Enter, and you’ll feel right at home! You can pick up an assortment of gifts or take some chocolates home for yourself!